Participate in our river cleanups located within local National Conservation Areas. Gunnison River cleanup is a one day cleanup where we cover a 13 mile section of the river. Colorado River cleanup is an overnight trip. We cover the Loma to Westwater section of the river. 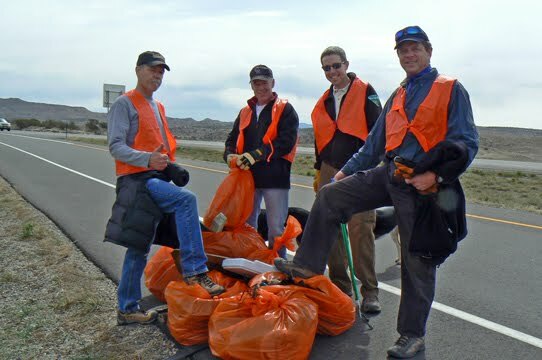 Colorado Canyons Association participates in CDOT's Adopt-a-Highway program. As part of this program CCA is responsible for cleaning up HWY 70 from milepost 2 to 4 for two years. This section is located directly outside of McInnis Canyons NCA-Rabbit Valley Area. CCA hosts cleanups in the spring and fall of the year.